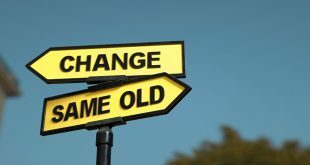 Finding the right Appraisal Management Company (AMC) to work with can be a daunting task. 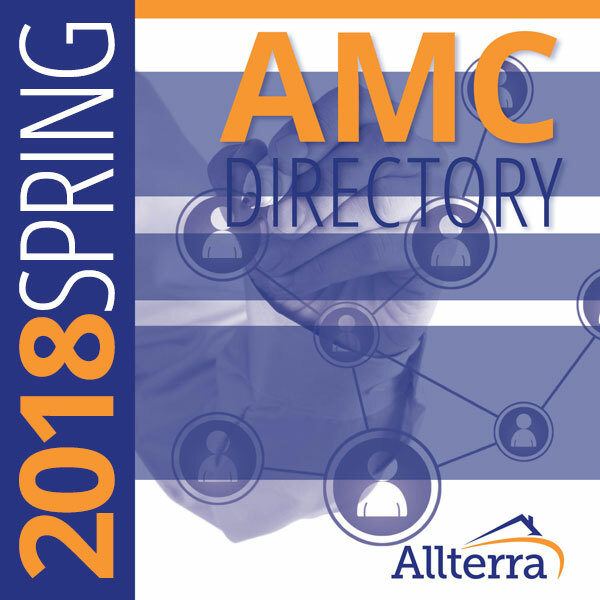 Allterra Group, publisher of the Appraisal Buzz, has recently released their new 2017 AMC Directory. Before you begin working with a new AMC, be sure to ask some important questions such as how long they have been in business, and find out more about their current and past clients. Joan Trice, CEO and Founder, put together some answers on this new AMC directory and what makes it unique. Buzz: Joan, tell us about your latest release of the AMC Directory. Trice: We have over 450 AMCs that made the final cut. While in the past we provided the AMC Directory for free, this year we have felt compelled to charge a modest fee of $79.00. Trice: This year we have gone above and beyond just the usual registration listing information available from the state websites. We have invested considerable time and energy into ensuring the directory is useful to appraisers. 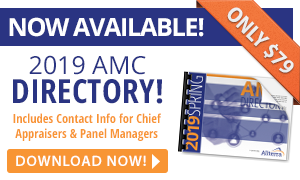 Buzz: What new information is available in the AMC Directory this year? Trice: Most of our efforts focused on ensuring that appraisers, in their marketing activities, had access to a real human. We provide both the chief appraiser and the vendor manager in many instances. We gathered their name, phone and email. Buzz: Why was this a difficult project? Trice: I think it caught us by surprise, frankly. Many AMCs were not easy to find. Quite a few had no website and if we could find a name we were able to only obtain a generic mailbox or just a Gmail address. In some cases, we reached the sole employee of the AMC who was out on inspections. Buzz: How many AMCs were you not able to verify? Trice: A lot. I would say there were easily 100 or so that either merged with another, went out of business, or just were nowhere to be found. That seemed to us to be significant. There is no doubt that in our scrubbing process we may have overlooked some businesses. If we did, please share with us by emailing jim@allterragroup.com and we will modify our directory accordingly. We estimate we saved you at least 80 hours of your precious time. 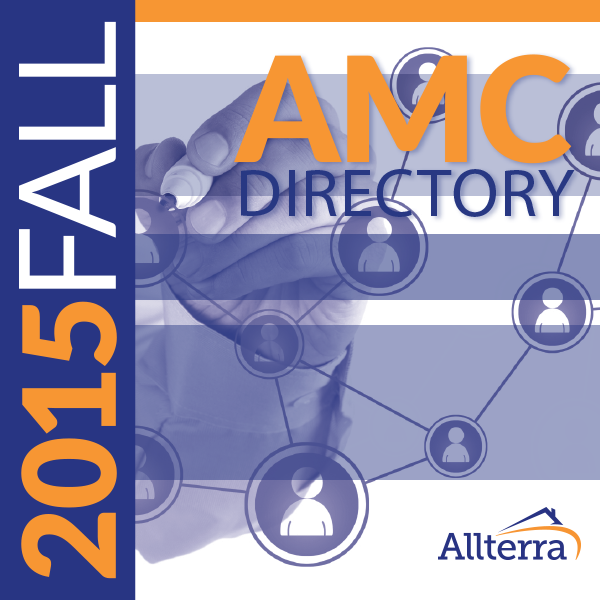 Buzz: What else is different about the AMC Directory? Trice: Just out of our own curiosity we ranked AMCs by their size according to their self-reporting based on number of employees within their AMC division. This Top 10 List of AMCs is included. Buzz: How would you leverage the AMC Directory? Trice: I strongly encourage every appraiser to be constantly marketing. It shouldn’t be a casual commitment. Don’t wait until you are slow! Just be sure to establish your own criteria for taking on new client. You will want to ask about their policies and procedures, explore their website and have a personal conversation to see if the company seems like a fit. Buzz: Thank you for taking the time to explain the 2017 AMC Directory. 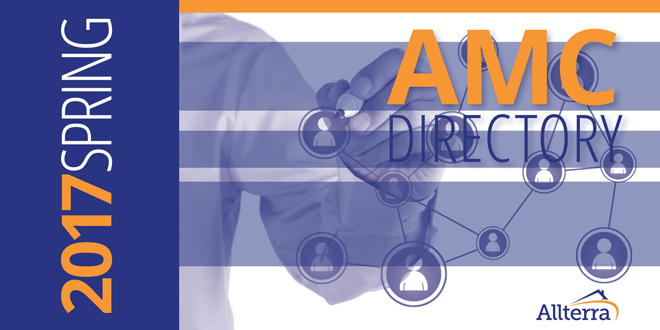 You can purchase the downloadable directory by clicking here.